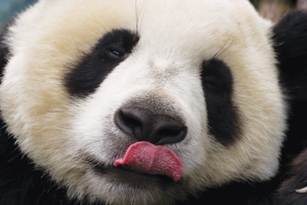 Fancy a panda weekend in China? Done Barcelona, over Paris, out of love with the UK? Looking for an ultimate weekend to max out annual leave and ensure bragging rights in the office on return? Well, Wendy Wu Tours, in partnership with Etihad Airways, has created the ultimate short break to China, requiring just one day out of the office! Utilising the new Etihad route to Chengdu, the capital of the Sichuanprovince in central China, this four day super break takes in the key site of the Grand Buddha and gives travellers a rare chance to get up close to the endangered Panda, arguably the worlds best-loved endangered species. With a lead in price of just £995 per person including all flights, internal transfers, accommodation, meals, visits and guides, this is a weekend with a difference! Travel overland to Leshan to visit the stunning site of the Grand Buddha, the world’s largest stone-carved Buddhist statue standing over 70m in height. Take a short boat trip to view the statue. The Buddha has been stone-carved into the side of Lingyun Mountain; carving began in 713AD and was completed in 803AD. Prior to returning to the hotel take in a visit to the old town ofHuanglongxien route. Return toChengdufor a typical Sichuanese meal. A full day visiting the famous Chengdu Panda Reserve to see these adorable animals being reared in wooded surroundings, reminiscent of their natural habitat. The panda is a symbol of conservation efforts worldwide and the Chengdu Panda Reserve is one of China’s leading conservation centres, offering visitors the chance to get up close and personal withChina’s national treasure. Visitors have the chance to feed the Pandas their favourite snacks of bamboo and natural foods and there is also the opportunity to get involved in some of the Centre’s work, which focuses on breeding, raising, and protecting the endangered giant panda. En route back to the hotel stop at the UNESCO listed Dujiangyan Irrigation Project. Arrive at London Heathrow at 07:20 (06.45 during the winter flight schedule) and head into the office to impress your colleagues with tales of your weekend away in China. For those who have longer to spend there are two extension tours available; ‘Dinosaur Discovery’ and theNineVillageValley. With a lead in price of £590 per person this tour transfers from Chengdu to Zigong where there is a tour of the Dinosaur Excavation Site which was discovered in 1972 and features dinosaur fossils in a sandy layer of the Meso-Jurassic period, from around 160,000,000 years ago. This excursion is exclusive to Wendy Wu Tours in theUKand is followed by an overnight stay in Zigongand visit to theSalt Museum over a two day period before travelling back toChengduto pick up the return flight to London Heathrow. This extension includes an internal flight to the Nine Villages Valley where there follows a full day’s tour of this scenic area of vast mountain ranges inhabited by only a handful of Tibetan and other ethnic villages. This dream-like valley offers stunning alpine scenery that is heavily forested and home to many protected species. TheNineVillagesValleywas accidentally discovered by a lumberjack in 1972 and was subsequently listed on the World Natural Heritage List in 1992. Back in Chengduthere is a chance to explore the Wide and Narrow Alley, an area of ancient streets preserved from the Qing dynasty (1616AD-1912AD), before returning to the airport for departure to London Heathrow. All prices are subject to availability and are based on selected departures. Prices are based on twin rooms (no single supplements for those willing to share). The price includes, international flights, accommodation, current taxes, meals as stated, touring with guides, entrance fees and visa fees forUKpassport holders.